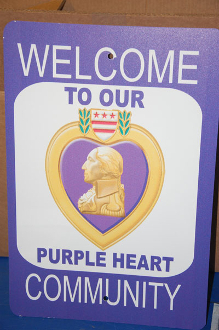 Our New Purple Heart Signs. These are designed to be used in Parking lots and City Welcome panels. This can be used for City, towns, villages etc. These are 12" x 18". These are Alum panels and are drilled to mount.